A Chinese technology firm's plan to provide free Wi-Fi service worldwide through an ambitious constellation of satellites has the potential to trigger security concerns in many countries. Shanghai-based LinkSure Network, which specialises in mobile internet connectivity, unveiled the first of the 272 satellites that it plans to send to space earlier this week. 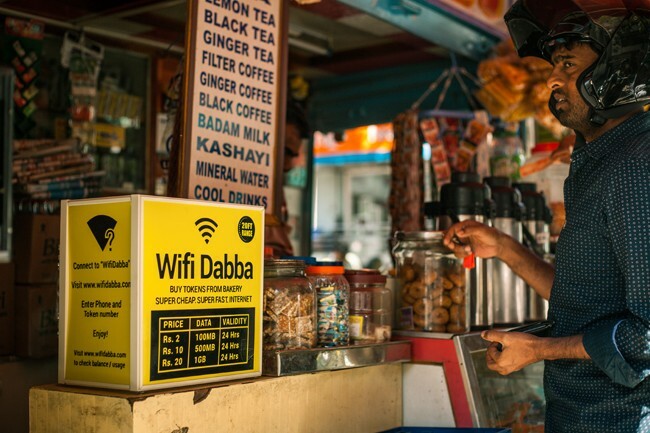 Wi-Fi is a highly sought after service, especially in the developing world that suffers from weak mobile phone networks and high data charges. The offer of free Wi-Fi unless nationally monitored could have serious security implications, some experts suggest. The US has already sounded a security alert regarding some Chinese mobile phones including those made by Huawei. The security concerns from free Wi-Fi plan are heightened by China's plans to put in place a navigational satellite system rivalling US GPS. LinkSure Network will launch the first satellite next year from Jiuquan Satellite Launch Centre in Northwest China's Gansu province, and plans another 10 satellites by 2020, state newspaper China Daily said on Thursday. The constellation will be complete by 2026. People can use the free connectivity even in areas that do not get the mobile phone signals, the report said. According to Wang Jingying, CEO of LinkSure Network, the estimated project cost is $431.4 million. The company hopes to recover the investment over an undisclosed period of time without giving details of the likely revenue streams. United Nations estimates show there were 3.9 billion people not connected to the internet by the end of 2017. Satellites are seen as the alternative to installing terrestrial infrastructure in areas where the topography is difficult. Some global technology giants like Google, SpaceX, OneWeb and Telesat have already announced similar projects to use satellites to provide free internet access. But LinkSure Network's plans gain significance in the backdrop of the plans of China's plans to build a satellite navigation system rivalling theUS Global Positioning System (GPS) used widely around the globe. The BeiDou Navigation Satellite System (BDS hopes to be the fourth global satellite navigation system after the US GPS system, Russia's GLONASS and the European Union's Galileo. India has built its own regional satellite navigation system called Indian Regional Navigation Satellite System (IRNSS). The Indian Space Research Organisation website says the system known as Navic has a constellation of seven satellites on the orbit that provides a coverage of the whole of the Indian subcontinent up to a distance of 1,500km from the national borders. India has kept more satellites on the standby mode on the ground, completing the network as of April 2018.